When making authentic sushi, it is important to first create authentic sushi rice -- it is, after all, the base flavor and texture of the rolls you create. While it may seem difficult to make this recipe for the first time, it is well worth perfecting. It adds sweet, tangy flavor to sushi rolls, and the sticky texture is necessary to hold the rolls together. Use this rice whenever cooked sushi rice is called for. Wash the rice and rinse thoroughly. Place rice and water in a rice cooker and set until cooked. Alternately, place rice and water in a medium saucepan. Bring to a boil over high heat, reduce to a simmer, and cook covered until done, 35 to 45 minutes. Meanwhile, mix together the rice vinegar, sugar and salt in a small saucepan; cook over medium heat until sugar has dissolved. Allow to cool. Does it matter if you use regular rice? You can try substituting some of the rice with quinoa. I use 2 cups of rice and 1 cup of quinoa. Quinoa is a good source of selenium, a mineral that helps protect our bodies from mercury. Mercury is a toxin found in salt water foods like salmon, and high enough intake of it can damage our nervous systems, cause kidney malfunction or even be fatal. Salmon that you eat does not consist of mercury hence they're cultivated fish. There is NO evidence that quinoa help detoxify your body of Mercury. Eat quinoa if you like it, not because you think it will do some mystical thing to your body (or the fish in your sushi). Has anyone had to alter this recipe for a "rice cooker"? Rice cookers are so easy; you can walk away and do not have to set a timer. Yes. After washing the rice, I put it in my rice cooker with the salt, turn it on and wait for it to be finished. In that time I prepare the vinegar sugar mix, and the filling for the sushi. I let the rice rest without the lid for a couple minutes before pouring the vinegar mix on top. There really wasn't much to change. Hope this helps! Really nice, although the rice needed less than the stated 35-45 minutes to cook. Was easy for my school project made sushi was delicious! It's very easy to cook! 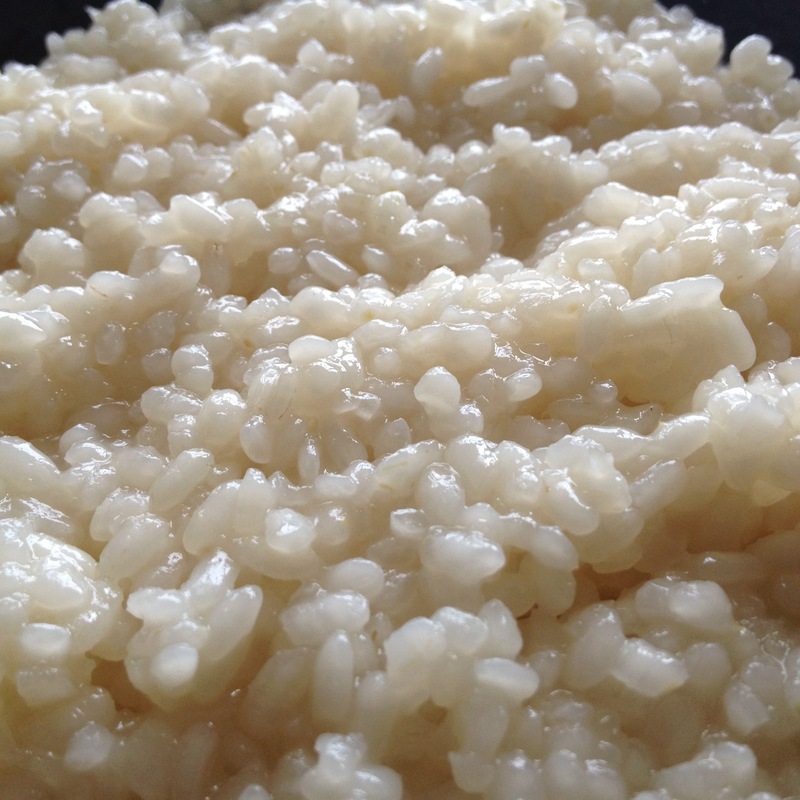 The sugar/vinegar solution is used to flavor the rice, it's what gives the rice a sweet and tart flavor. It was very tasty, I liked very much. Showing 10 of 20 total reviews and comments. Average rating of 4.29 stars based on 17 reviews. Summary: When making authentic sushi, it is important to first create authentic sushi rice -- it is, after all, the base flavor and texture of the rolls you create. While it may seem difficult to make this recipe for the first time, it is well worth perfecting. 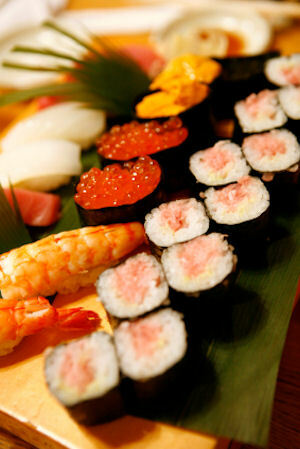 It adds sweet, tangy flavor to sushi rolls, and the sticky texture is necessary to hold the rolls together. Use this rice whenever cooked sushi rice is called for.